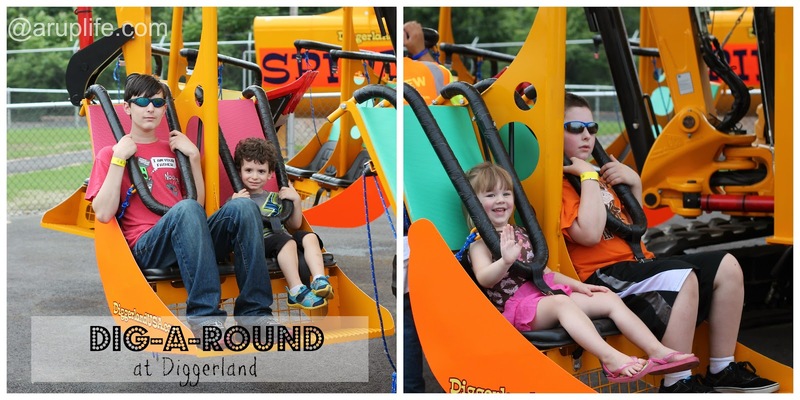 I recently had the opportunity to go to the new construction theme park in Berlin, NJ - Diggerland! The first of it's kind in USA - it was a fantastic experience! 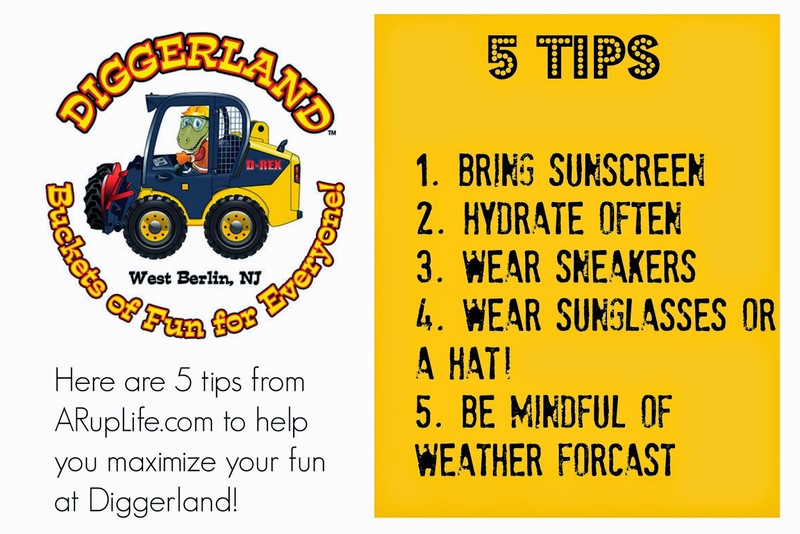 Enjoy the tips below to help you have a successful visit! Overall we loved the park. My 3 year old was able to do quite a bit but most of it he had to have help from his big brother or me. In about 2 years he probably could do everything by himself (He is about 39 inches.) My big kids were able to do everything! They really had a great time. 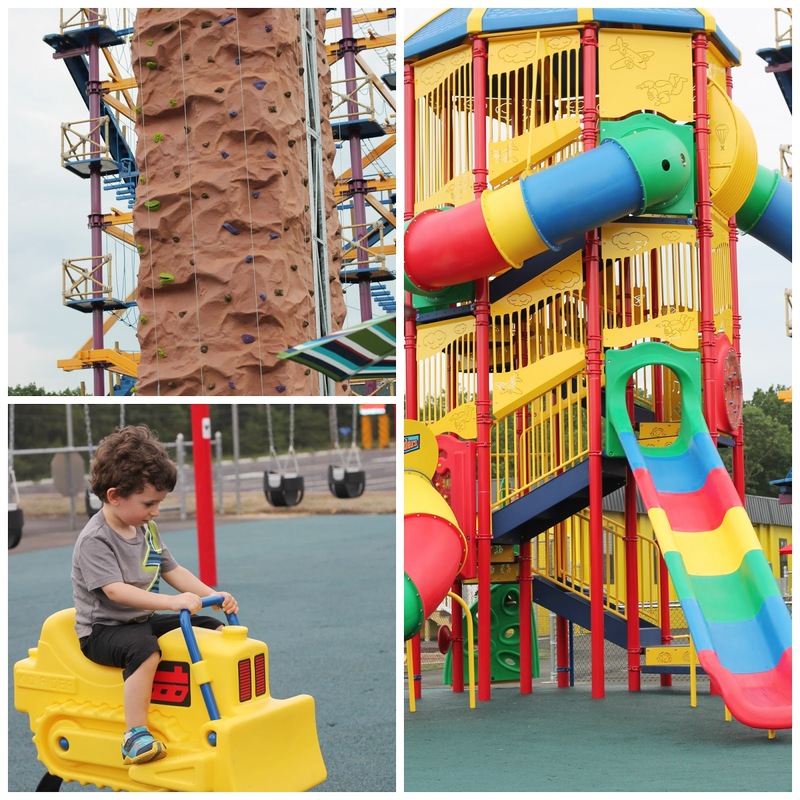 With the rock climbing wall, rope wall and arcade I think there is something adventurous for everyone. The Excavator Express (there version of a train ride) was a great opportunity to sit, relax and see the park. Another plus was the gift shop. I was super impressed at what they had to offer in store. Many items were under $10! Several under $5! We ended up with two JCB baseball hats and a little mixer truck for my 3 year old and spend under $30! Tickets - purchasing online here will save you money! Online tickets are $29.95 full day and $24.95 half day. Walk-up tickets are $34.95 full day and $26.95 half day. Guest 36" inches and under are free as well as 65 and older! 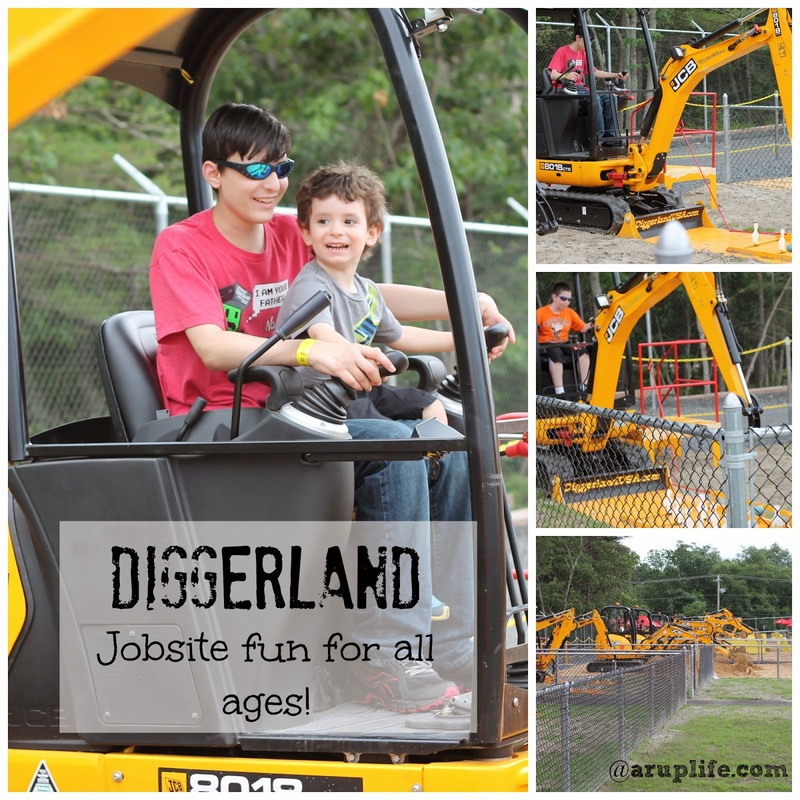 You can visit Diggerland.com for additional information as well as their Facebook page! Thanks for even more info on this awesome looking park!! Pinning this to the East Coast board. Thanks for linking up at FTF!